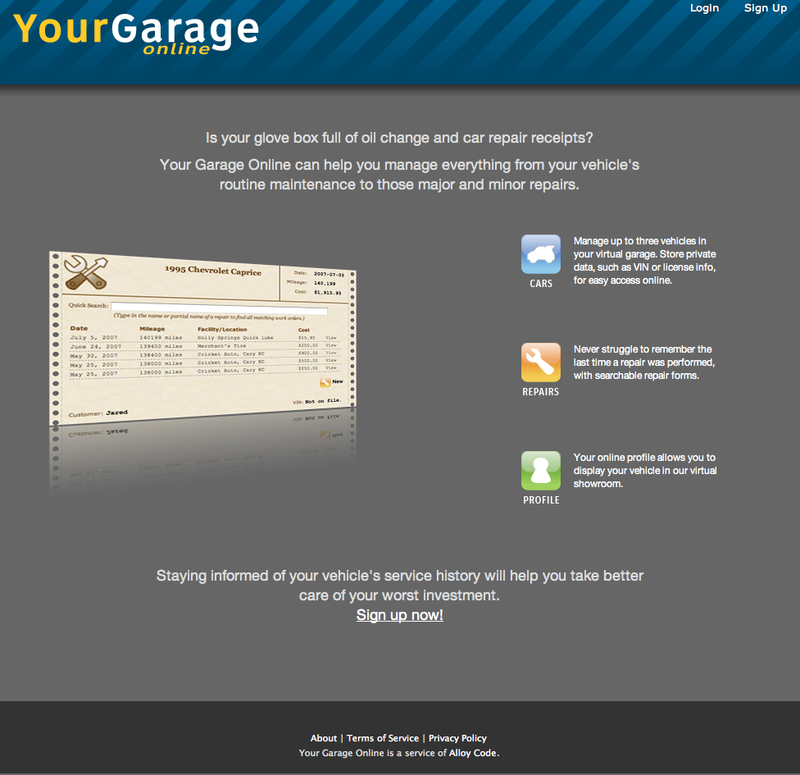 Your Garage Online, a Rapid Prototype application, took just 48 hours for Alloy Code to develop using test-driven practices during RailsConf 2007 at the Oregon Convention Center. 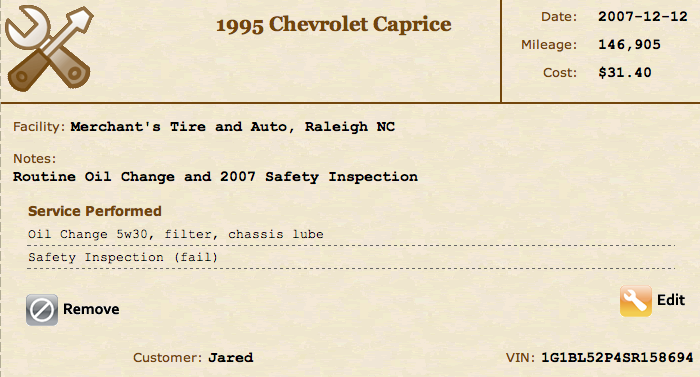 Finally, vehicle owners could use a single application to track repair history, regardless of where the vehicle was serviced. 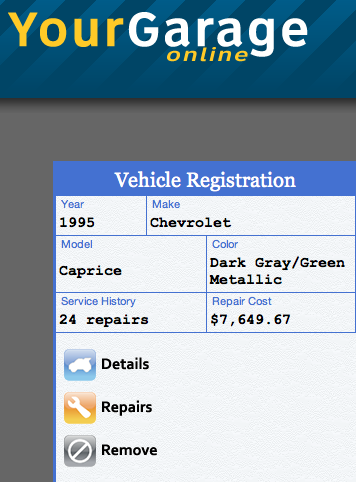 Your Garage Online allows users to search for repairs already performed and see a total of how much has been spent on repairs per vehicle. 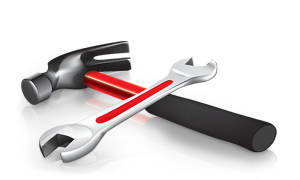 Alloy Code migrated Your Garage Online from Rails 1.2 to 2.x and recently to Rails 3, and from Mongrel Cluster-based deployment to Phusion Passenger. Your Garage Online is currently not hosted online, but the source code for YGO Classic is available on Github, and available for free.